couple starring in Garsington operas - 6 Great Gardens And let’s see yours bloom for our competition - Your Guide To Outdoor Theatre Shows: From Jane Eyre to Shakespeare comedies - Picturesque Penn: Take a walk around the pretty village and Tylers Green. 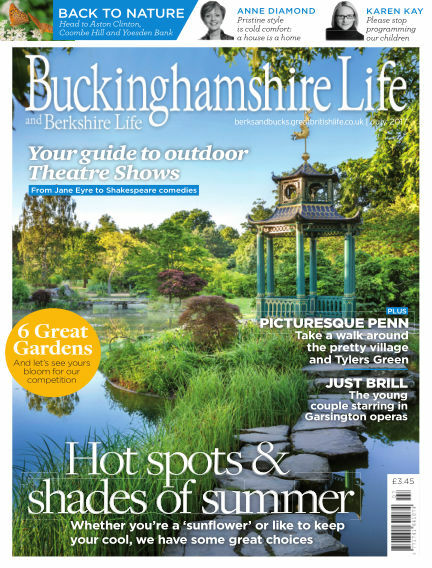 With Readly you can read Buckinghamshire Life (issue July 2017) and thousands of other magazines on your tablet and smartphone. Get access to all with just one subscription. New releases and back issues – all included.